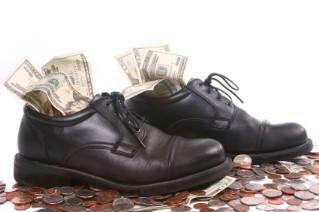 By doing a little research, you could save some major cash on your next shoe purchase. Finding the best prices for shoes and boots can make shopping even more enjoyable. After all, with extra money left over, you can always buy another pair! Getting the best deal on a much needed (or wanted) pair of shoes requires a little bit of research. Even if you think the "sale" at one website sounds like a great deal, you should always double check with a few other retailers to find out if that deal is what it claims. With the ease of internet shopping, there really is no reason not to find the best price available. If you shop at the same retailer frequently, sign up for email alerts/newsletters. You often will get advance notice of sales, or special discount codes for an extra percentage off the price. Use a comparison shopping site, such as Nextag or BizRate. Bookmark a few discount shoes or boot websites and check back frequently for updates. Visit eBay or Overstock to find deals on designer shoes that were barely/never worn or were overstocked. If you find a deal that sounds fabulous, do not hesitate to purchase. However, before you hit the online checkout, be sure to take notice of the shipping rates. Sometimes the shipping can cost almost as much as the cheap shoe for which you have been longing. Find coupon codes for free shipping to keep that saved money in your pocket. Even with all of the internet deals, you still may find the best prices in your local shoe store. Watch your local advertising pages for end-of-season sales, clearance events, and "buy one, get one free" offers. Community-wide sales, which often occur during town celebrations (called "ridiculous" sales or "sidewalk sales") are often worth waiting for if you want expensive boots or a new pair of shoes. Prices are often slashed significantly on most, if not all, shoes in stock. This is a great option for picking up trendy shoes or seasonal shoes that will not get much wear before being put away. Because stores want to keep their customers loyal, many offer price matching. Therefore, if you find a great deal at the shoe store across town, ask at your normal place if they will match the sale price. You may be surprised to learn they not only match it, but will better the discount offered. Even if they refuse to match the best prices for shoes and boots, it still doesn't hurt to ask. Getting to know the salesclerks will often pay off. They may give you a call before an unadvertised sale. You may also get a good customer discount for frequently shopping with the clerk (especially if the clerk is commissioned) when you make large purchases. This could end up being anywhere from an extra 5 to 10 percent off your bill. Shopping for the best prices for shoes and boots at a discount warehouse sale may sound like the best idea you have heard in a long time. Often advertised on television and local newspapers, "factory liquidators" will sell off their overstocked items at a "huge discount." While some of these sales are legitimate, check over your merchandise carefully. Look for ripped seams or poorly glued soles. Check that the item you are being told is brand name really is not a well-made knock-off. The caveat "if it sounds too good to be true, it probably is," is sound advice to keep in mind at these sales. Outlets for brand name items can be a great place to pick up last season's hottest trend. However, just because the store is in an outlet mall does not mean you are getting an outlet store. Be sure you know the original pricing of a shoe you want before heading to the outlet for a better deal.